I am not surprised that Donald won the presidential election, neither did Brexit a month after my visit (fourth) in the UK. 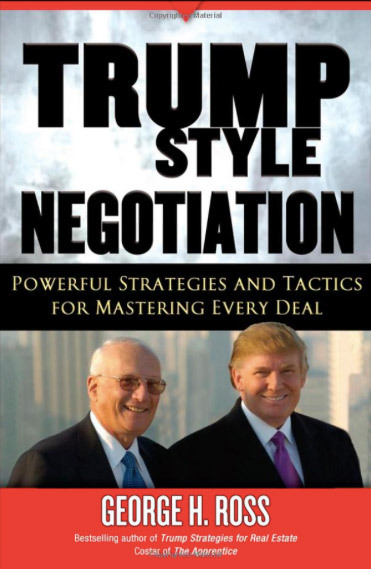 His campaign slogan: "Make America Great again" is nothing but a very clever usage of Machiavelli's words, which in terms of people management are always true - "Therefore, The prudent Prince should always and in every circumstance devise a way for his subjects to make them feel the need for his government, then they always will be loyal to him"
Click MORE to read the whole article. 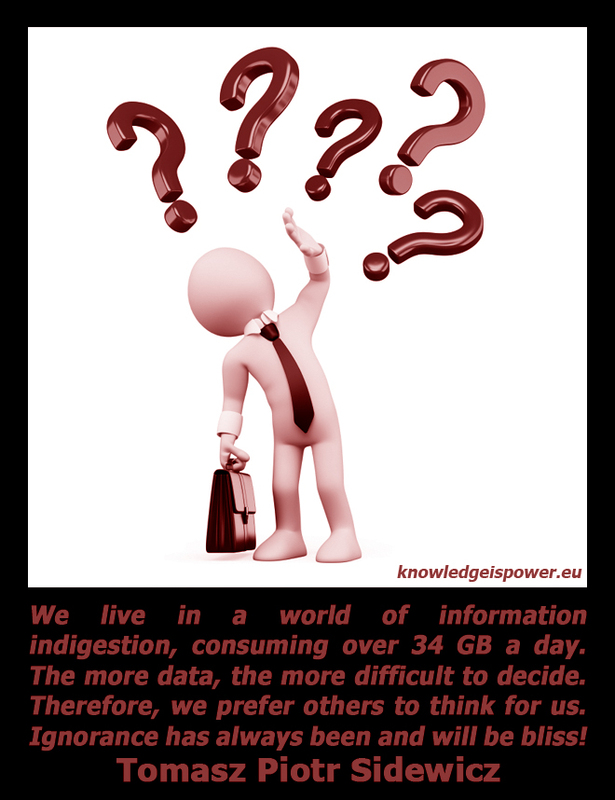 We live in a world of information indigestion. The researchers of the University of California, San Diego, in 2009 counted that daily we consume 34 GB (gigabytes) of information. What does this mean? Living in the era of information, due to fast-growing mobile technology, our brains to not go crazy from information excess tend to process information very selectively, what they consider to be necessary for our survival. Therefore, we choose the information that fits our cognitive structures mindlessly. You must always remember that your brain sees what it wants to see. One of the most important characteristics of an effective influencer is ability to use language properly. Relying on the obsolete theory of Howard Gardner on multiple intelligences (neuroscience rejects multiple intelligences as separate entities – more on this can be found in the book of Daniel Coyle “Talent Code”), verbal intelligence corresponds with an ability to use language effectively. Understanding written and oral communication, formulating complex expressions and adequate choice of words, all these define Howard Gardner’s verbal intelligence. A person with high verbal intelligence communicates with other people effectively, articulates his or her thoughts clearly, aptly chooses arguments justifying his or her position. One of the easiest exercises to develop alleged verbal intelligence is reading books, which is a disappearing activity in times of tablets, smartphones and simplification of language usage. After many many years of observations gained from conducting training in the field of conscious influence I came to a conclusion people are reluctant to use any of techniques of influence consciously. Many a time I noticed in my previous posts that fear is a terrible adviser, since fear paralyzes common sense thinking. Why is fear paralyzing? 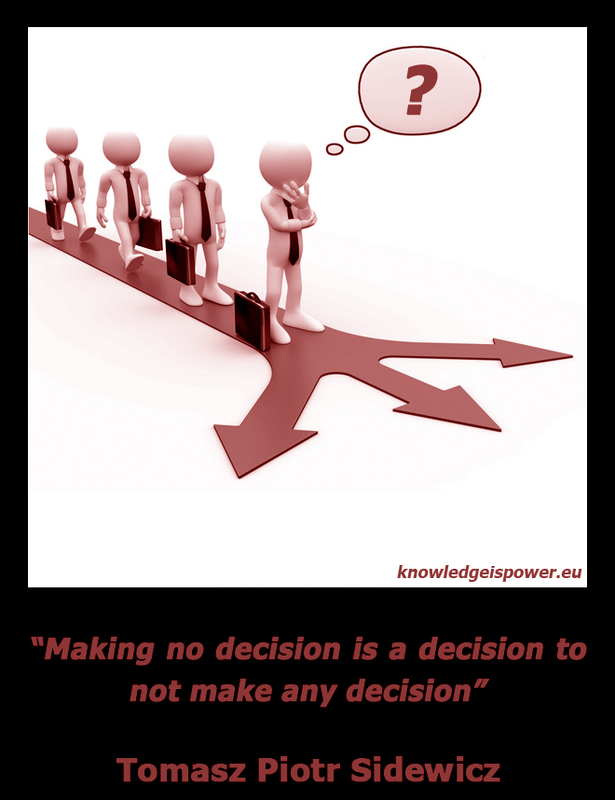 Because of the need of taking responsibility for the impact of influence, so called PRISONER’S DILEMMA. Whether we like it or not, everyone uses social impact. The reason? – To make your life easier. Any form of communication among living creatures is a form of influence. Communication is not a transmission of information, contrary to what is commonly believed. Communiaction serves to interact with others and cause specific reactions or provoke. So everybody does it. Every single human being influences others, providing she or he share the same location with other human being. 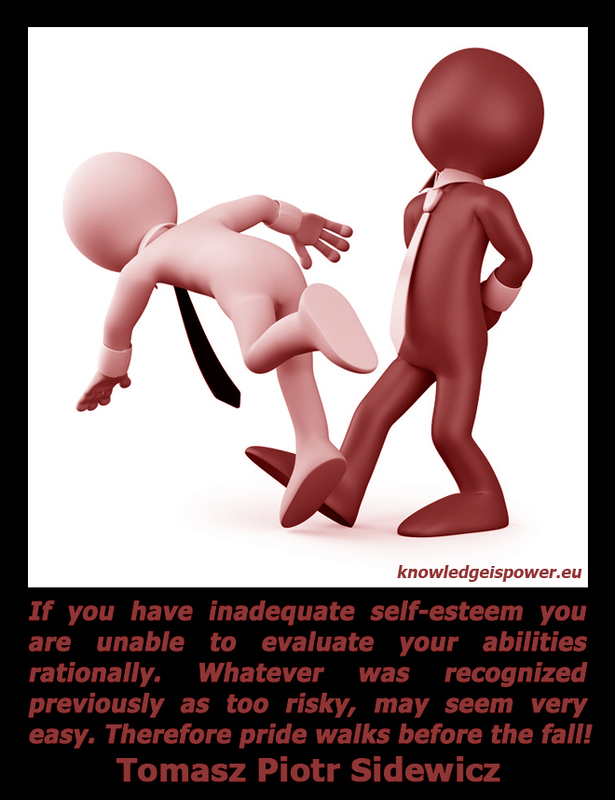 The simplest form of influence is ingratiation as a self-presentation. The hardest form is persuasion and eristic. The most common form of influence is lying and intriguing. Since people tend to delude themselves (ignorance is bliss), those who lie and plot do not have to make too much efforts to be successful. Anyone who grows needs more space. In my work such a neccessity poped up. I welcome all English readers to the English version of my magazine-blog “Wiedza to Władza”.